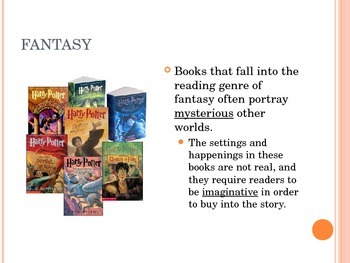 Knowing which genre they're reading helps students better understand what they're reading. 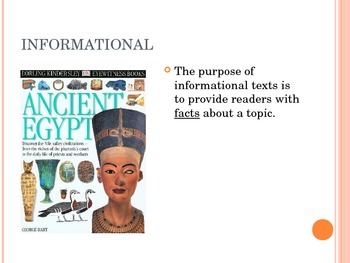 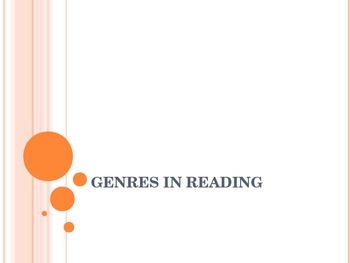 Use this presentation to teach the many different genres in reading, and be sure to grab the accompanying guided notes! 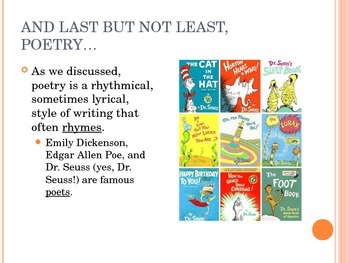 Genres include fiction, poetry, non-fiction, and more!